Thank you for your interest in giving to God through Faith Church. Giving is personal; a commitment between you and God. We understand that and want to provide choices on how you can give. You may always give cash or check during one of our worship services or by mailing your check to the church office. You may give online (computer, tablet, or phone) through our secure online giving portal, one-time or recurring. Give online now. From the convenience of your smart phone, you can text any amount to 84321. First time users will be given a link for setup. Watch a video. 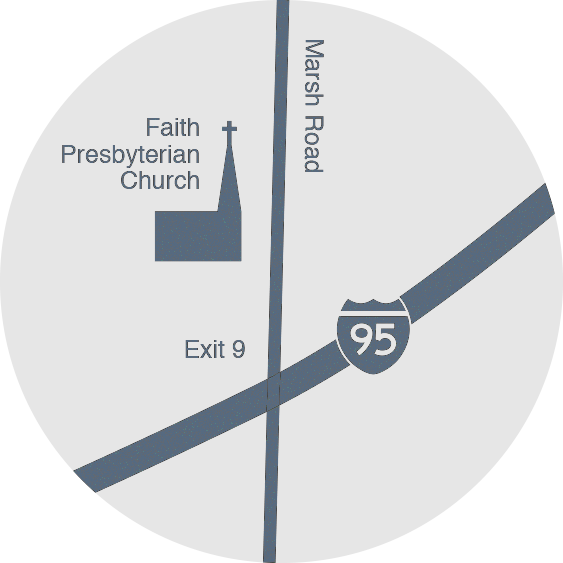 Stocks or bonds can be given to Faith Church through PNC Investments, DTC# 00226, NFS Account # 005-076889, F/B/O Faith Presbyterian Church. God wants us all to be generous givers. We are not giving out of blind obedience, but out of thanks and awe for what He has done for us on the cross. He paid the ultimate price, so we give. As in all of life, God sets the standard and we know that life is more fulfilling when we strive for His plan. We were made to give, to love, and to care for one another, through Christ. We accomplish this through our local church. When you give to Faith Church, you are giving to people...people that are hurting, seeking, and growing...people that long to know Him more. Our General Fund provides for the ministries of our church so that this can happen - So that a child can discover the wonder of God in a Sunday School classroom or during the fun and games of Pioneer Clubs. So that our church and community can hear the good news in Faith Explored. So that our men and women can meet and grow with one another. So that we can gather with hundreds of enthusiastic children for the most exciting week of the year in Vacation Bible School. Or, so that our young adults, gripped with the realities of adulthood, can gather to talk, grow, and encounter God together. Your offerings matter and make a difference every single day. The act of giving to God is an act of worship. During our Sunday morning worship services, we dedicate a time to honor God with his tithe and our gifts. Whether you drop your offering into the plate as it is passed by or give online to use the modern conveniences of technology, we worship God with our offerings just the same. [ ? ] Need Help? Here's a quick 1-minute video to get you started.